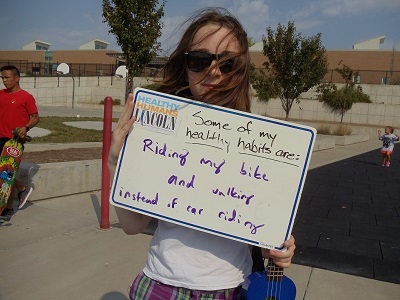 This #HealthyHuman enjoys walking or riding her bike instead of taking a car. What a great healthy habit to not only be more active, but also help the environment at the same time! 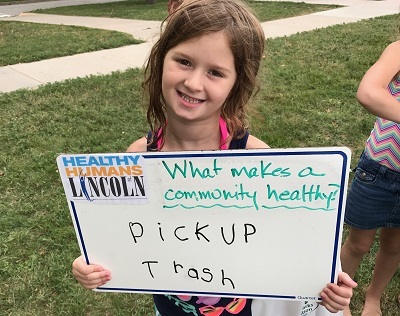 Picking up trash is a great way to help make a community more healthy. Less litter brings benefits to both humans and animals. Ever wonder how you could be more healthy? 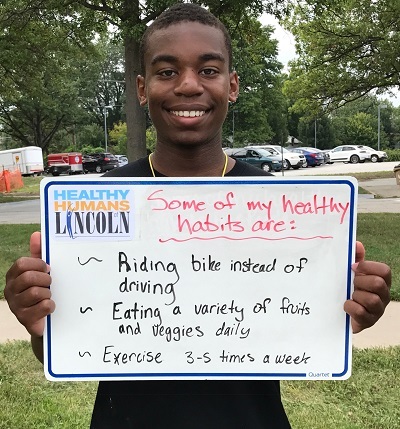 This weeks #HealthyHumanofLincoln shares some of his healthy habits such as riding a bike instead of driving, eating a variety of fruits and veggies as well as exercising regularly. 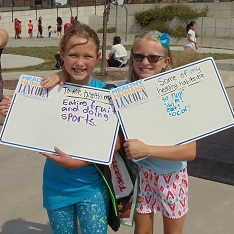 Drinking lots of water, playing sports and wearing a seat belt are great examples of some healthy habits. 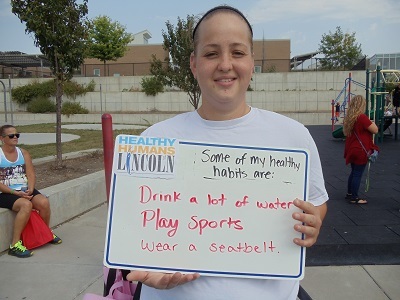 To this #HealthyHumanofLincoln health means maintaining good hygiene, eating healthy and staying active. 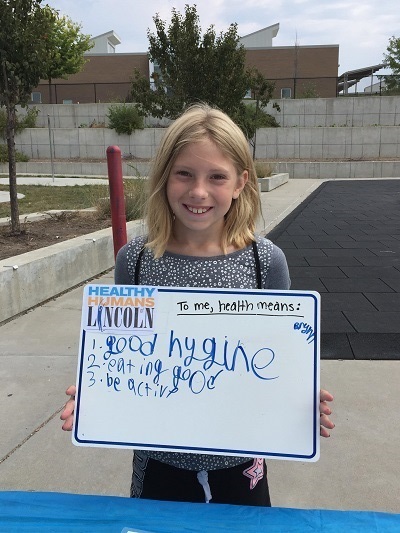 What does health mean to you? Happy Thanksgiving! 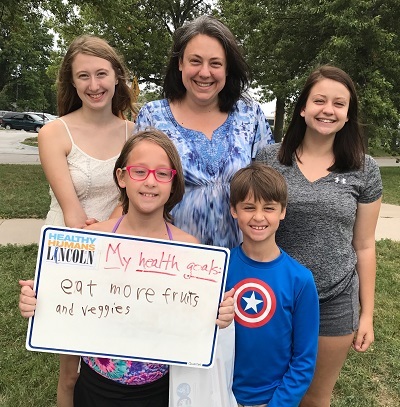 This family's health goal is to eat more fruits and veggies. What are some of your family's health goals? Blowing bubbles, running and getting a good night's sleep are all great healthy habits!